Studying History at high school or college? Want to improve your results on assessment tasks? Need explanations and examples for difficult concepts like source analysis and evaluation? 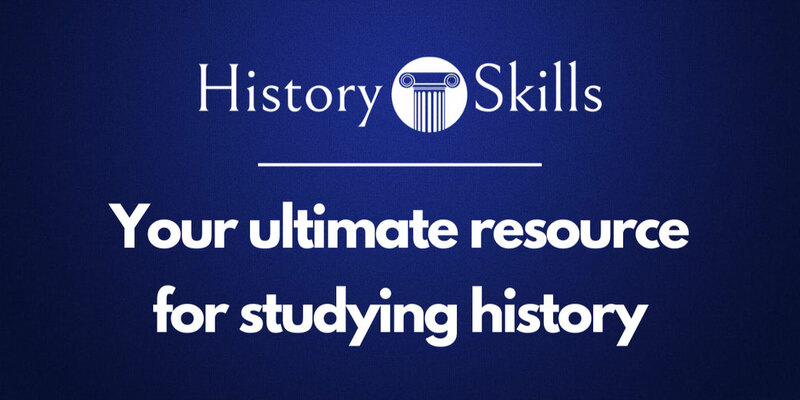 History Skills provides you with a wide range of explanations, examples and scaffolds in order to help you get the most out of the subject. Whether you need to develop your historical knowledge, learn source criticism skills, prepare for essays and exams, understand how to quote and reference sources, or even need to find primary and secondary sources online, you will find everything you need. Check out the latest YouTube from History Skills. History Skills is presenting a session on different approaches to the new 'source investigation' task under the new QCAA syllabuses at the Darling Downs' History Teachers' conference on the 7th May, 2019, at the Glennie School in Toowoomba. History Skills is presenting a workshop on source analysis and evaluation based upon the new QCAA syllabuses at the Queensland History Teachers' Association annual conference on the 29th June, 2019, at Brisbane Grammar School. Don't have access but want it? You can purchase annual access to each level on the Store page.